Sooner or later, the Department of Natural Resources is going to audit your business to ensure you are properly disposing your medical waste. To help you avoid any possible penalties, here are the top 12 things the DNR looks for during an audit. Penalties for failing to comply with federal or state regulations can be drastic – sometimes as much as $10,000 to $25,000 per violation per day. 1. Are covers on on waste containers at the locations of use and storage? Remember, your medical waste containers are not like trash cans – the contents can pose a far greater risk than standard waste. Therefore, covers must remain on the containers at all times unless adding additional waste. 2. Are the storage areas labeled “infectious waste” and “hazardous waste”? Multiple types of waste can be stored in the same room, but signs on the door must indicate every type of waste inside. Once inside the storage area, waste must be segregated by classification and labeled accordingly. 3. Can you produce copies of the manifests? Your manifests must show the entire lifecycle of your medical waste, from cradle to grave. Essentially, your records must indicate where the waste was generated (cradle) all the way through where it was destroyed (grave), plus any transportation in between. Try to find a medical waste disposal company that creates electronic manifests – sending them to you via email and storing a digital copy. This makes it easier for you to store your manifests as well as retrieve a new copy should an old one get lost. 4. 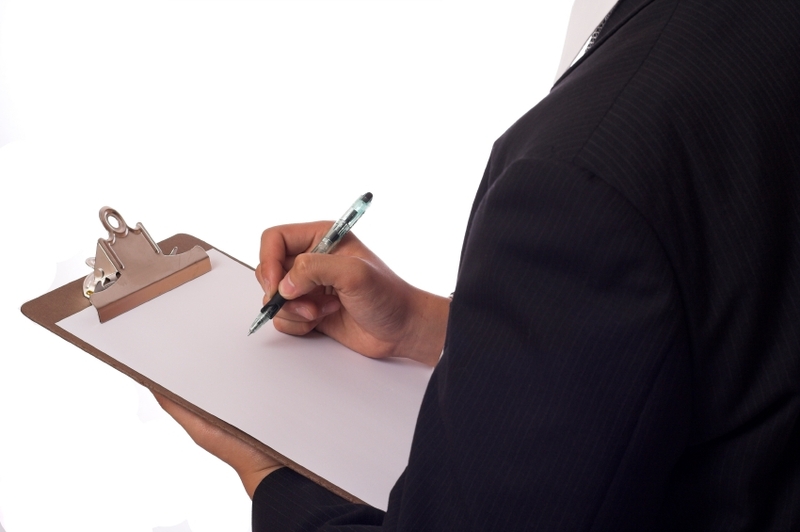 Can you provide documents showing which employees have been trained to handle medical waste? Any employee who handles medical waste must be properly trained. The DNR and OSHA will want to see documentation proving that each employee who handles medical waste has been properly trained to handle that specific type of waste. 5. Is each hazardous waste container properly labeled? If you combine multiple containers of the similar waste into a larger barrel or container, you must write the date of the of the earliest container that was put into the larger container. 6. Have you categorized pharmaceutical waste by chemical composition and hazard code? Different chemicals must be categorized, packaged and stored according to their hazard level and chemical make-up. The DOT CFR 49 can tell you which chemicals are and are not hazardous. However, things become more complicated with drugs, which often contain multiple chemicals. In this case, talk to a pharmacist, who will provide you with a chemical breakdown of the drug called a “formulary”. Then, give the formulary to your medical waste disposal company, and they can categorize the drug as hazardous or nonhazardous. 7. Have your reports been filed with the DNR and do you have them available? You need to file a report with the DNR every year that details your annual waste production. If the DNR audits your business, you must be able to produce these reports, so always keep a copy on file. 8. Can you provide reverse distributor records? If a pharmacy has an excess of expired drugs, they can return them to the drug manufacturer for money. You do this by using a Reverse Distributor. They will categorize the expired drugs and submit refund requests to the manufacturer on your behalf. The Reverse Distributor will ensure you are in compliance with DEA regulations. It’s a great program, but you need to have records showing the transfer to the DEA register Reverse Distributor. Make sure to have them on file in case of an audit. 9. Do you have a waste disposal diagram telling the staff what waste goes in which container? You must have a waste disposal diagram that tells employees where to discard each type of waste (often categorized by color). Check with your medical waste disposal company to see if they can create a disposal diagram for you. 10. 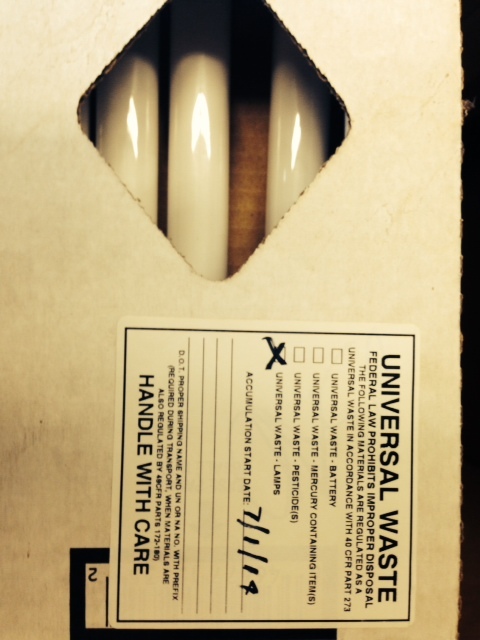 Are recycled light bulbs in approved boxes and labeled “universal waste”? Universal waste is defined as “a category of waste materials designated as ‘hazardous waste’, but containing materials that are very common. While light bulbs are always considered universal waste, other objects, such as certain batteries, pesticides and thermostats, can fall under the category as well. To see what products are considered universal waste in Wisconsin, refer to this “universal waste management standards” document. 11. Do you have written policy and procedures in the event of an accident, such as spills? The DNR wants to know that you have documented, written procedures in the event of an accident and that your employees have been trained on these procedures. 12. How do you account for the “P” listed waste? “P” listed waste is a classification of waste that includes acutely toxic material. This classification primarily includes nicotine and warfarin in health care. To see what waste falls under the category “P”, you can refer to this chart from the Environmental Protection Agency breaking down different waste categories. The DNR’s audit process is thorough, one that requires the utmost organization to show compliance with its regulations. While the 12 questions we provided are not exhaustive, they are a great place for any small business to start to remain compliant and avoid major fines. Remember – you never know when the DNR will come knocking. Learn how to easily track, properly handle, and affordably dispose your biohazard or infectious waste. 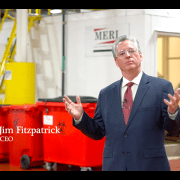 https://www.meriinc.com/wp-content/uploads/2018/09/15176-MERI-Logo_No-Tag-300x129.jpg 0 0 admin https://www.meriinc.com/wp-content/uploads/2018/09/15176-MERI-Logo_No-Tag-300x129.jpg admin2014-09-02 13:25:032018-04-24 22:52:43Can the DNR Audit Your Medical Waste? Five Mistakes to Avoid with Your Medical Waste Disposal Upcoming Hazmat Training Certification Courses for only $30!